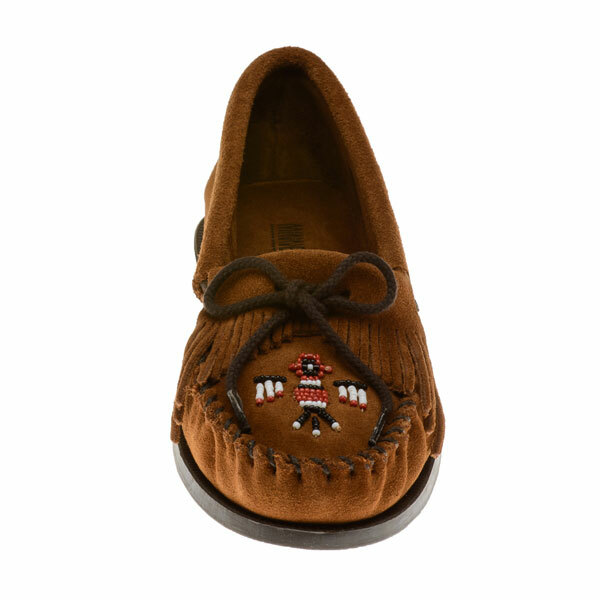 Minnetonka 0173 - Soft, brown suede leather moccasin with colorful, beaded Native American Thunderbird design sewn across the toe accented by whip-stitching detail. 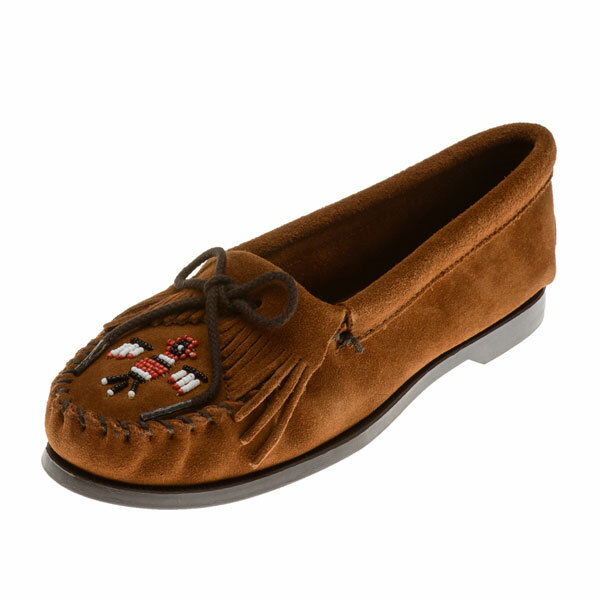 This Minnetonka classic has a decorative layer of fringe topped off with a thin leather bow and wrap around laces for a custom fit. Slip-on ease with a fully padded insole for comfort and a stitched on boat sole for durability. Other colors available. 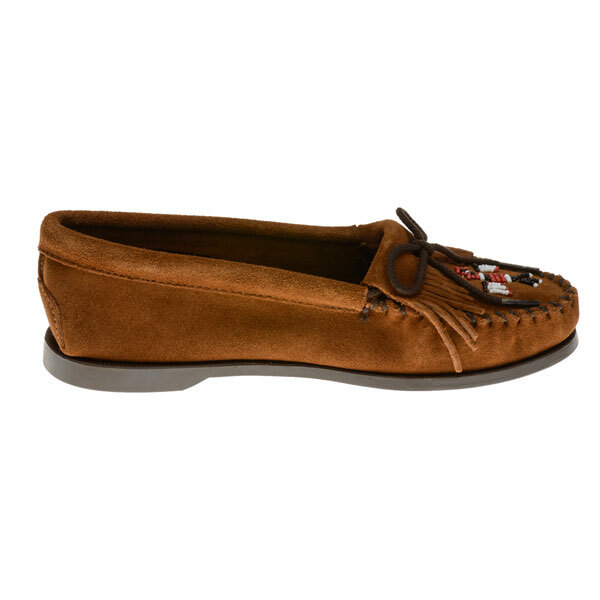 Minnetonka 0173 - Soft, brown suede leather moccasin with colorful, beaded Indian Thunderbird design sewn across the toe accented by whip-stitching detail. 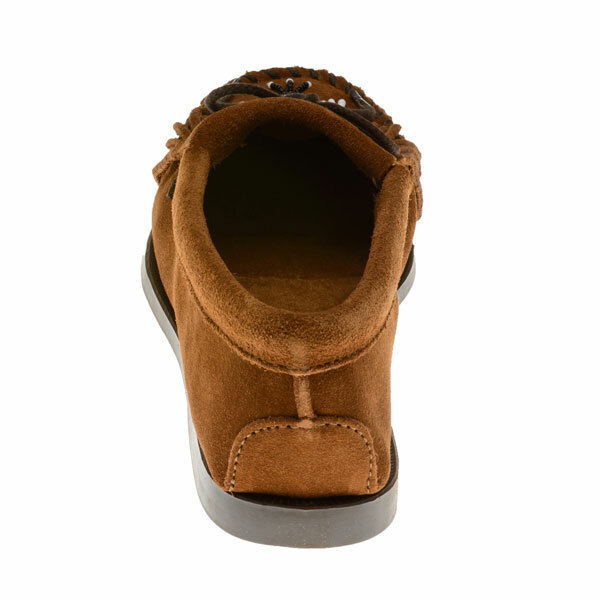 This Minnetonka classic has a decorative layer of fringe topped off with a thin leather bow and wrap around laces for a custom fit. 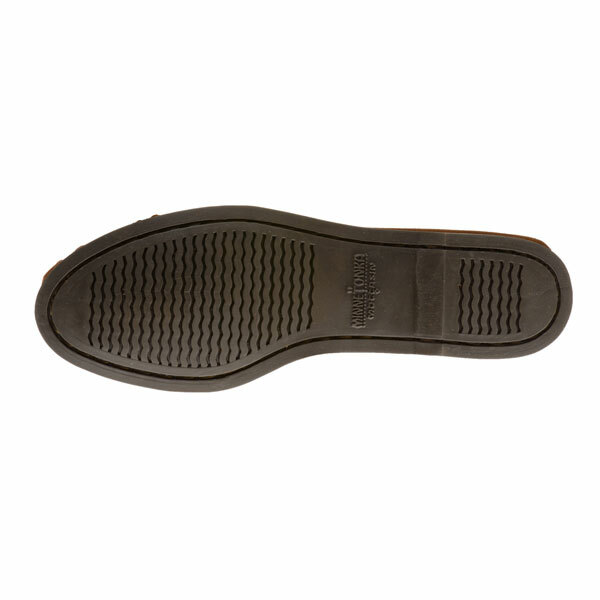 Slip-on ease with a fully padded insole for comfort and a stitched on boat sole for durability. Other colors available.